After the great success of Car2go around the world and in particular the recent best ever launch in Italy, Daimler is not sitting down and is preparing a step further to innovate the mobility market. The company will soon be offering carsharing with relevant innovation. 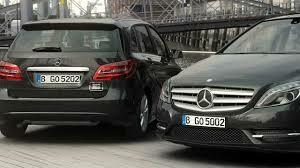 1) It will use Class B vehicles, first time for official Daimler Brand into car sharing business. 2)One way trips and the possibility to end the rental in a different cities (but in Car2go black reserved parking spaces) 3) Smart phone based model without any card to increase flexibility. 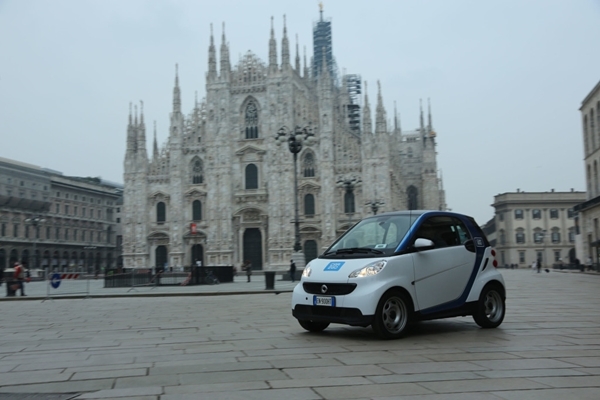 Car2go is now active at 25 locations in seven European and North American countries. Currently, approximately 10,000 smart fortwo vehicles are being used by more than 600,000 members. Under the “car2go black” brand, Daimler Mobility Services GmbH will pilot a fully automated carsharing system with Mercedes-Benz vehicles. The pilot phase will begin in mid-February in Hamburg and Berlin. In the initial pilot phase, select car2go members in those locations can use a network of 200 black B-Class models on short notice. The vehicles can be rented at dedicated reserved parking stations, and do not have to be returned to the same dedicated parking station that the vehicle rental originated from. A reservation is not required and the vehicles can be used for an unlimited period of time without having to commit to a return time, giving the member maximum flexibility. innovative carsharing service. Using the car2go black app, the member can easily locate a vehicle at one of any dedicated car2go black parking stations throughout the city. Members can reserve a vehicle 30 minutes in advance or spontaneously access a vehicle without making a planned reservation. When members pick up a vehicle, they simply enter their car2go PIN code and vehicle PIN code displayed at the vehicle into the app. At the end of the trip, the vehicle must be returned to one of the dedicated car2go black parking stations — including those in another city where car2go black is available. The trip will be completed using the car2go black app, making the process convenient and easy. There will be no return time required during the trip. In Europe, the car2go black network will be based solely on the Mercedes-Benz B-Class. This will be a diesel vehicle with 7G-Tronic automatic transmission, navigation system, air conditioning and heated leather seats. car2go black will complement the current pioneering 1-way carsharing service car2go in the near future. Pilot phase in Berlin and Hamburg The pilot phase will initially start in Berlin and Hamburg. At first, 100 Mercedes-Benz B-Class vehicles will be available to select car2go members in each city. The service will expand to include all car2go members in the spring as well as new customers. As the service matures, long-term reservations for rentals will also be possible. It is an interesting approach to see the results in the italian market where competitor car sharing operator ENI has recently launched a free flow cardless scheme in Milan in cooperation with Trenitalia, based under Fiat vehicles. It seems car sharing business will increase competition, that is good for users.